Delicious with grilled seafood, pork and poultry too. Strawberries are in full bloom in California! Mostly grown in the Watsonville area (between San Francisco and Carmel, near Salinas but inland from the coast a few miles), strawberries enjoy a long season here. Because they are so plentiful, I eat strawberries often and am always looking for new ways to use them, like this versatile salsa. Yes, salsa with red onion and cilantro! It’s an easy, yummy appetizer with tortilla chips or a tasty accompaniment for seafood, chicken and pork. Try experimenting with different fruit combinations such as pineapple, or peaches and nectarines when in season. All taste great with strawberries. A sprinkle of sugar (or honey) may be needed with fruit that is not ripe and sweet. 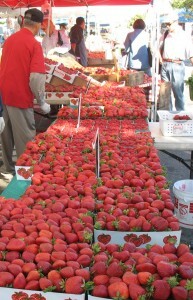 Take a look at the abundant strawberries at my local farmers market (below). And this is just one Watsonville farmer! 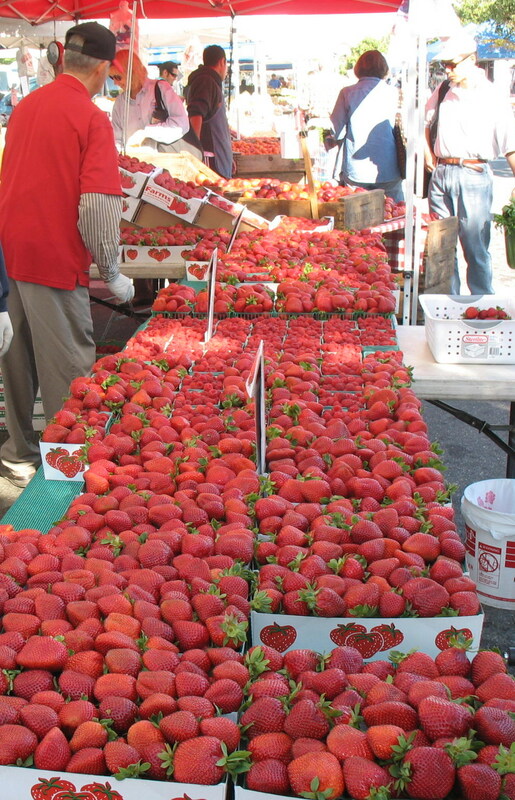 There are other strawberry growers at the same market. Prep time: 15 minutes Makes 4 cups. Areta, it IS nice to have another way to use strawberries. Good the hear from you. Come back soon. 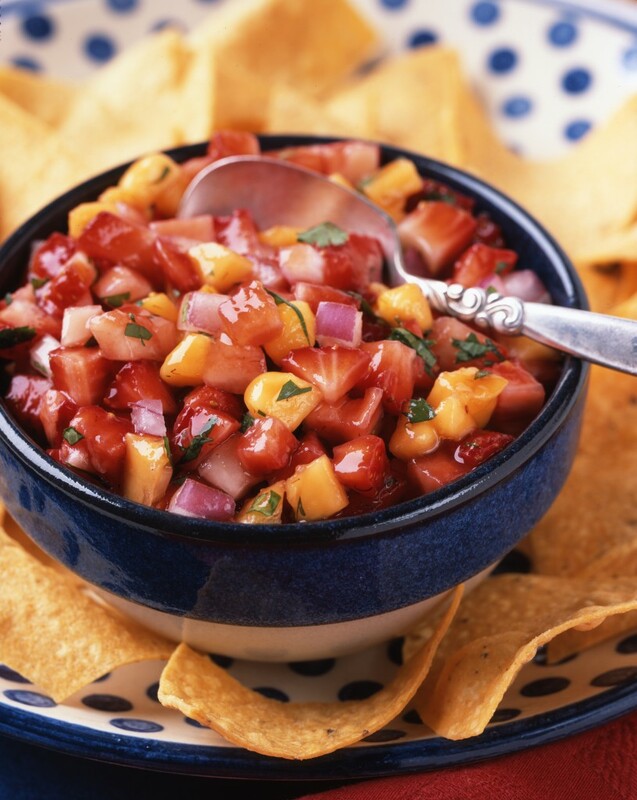 I am wondering how long the the Strawberry Salsa keeps for? I would love to know if I can prep it a couple of days ahead.